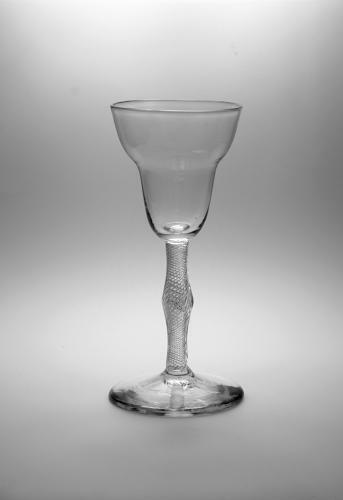 A large multi spiral air twist wine glass with centre knop and pan top bowl. English C1755. Condition: This is a particularly nice example, in very good condition with no evidence of restoration.